8mm Flexible Light Strip Solderless Clamp On Pigtail Adapter. Use for connecting NFLS-x Flexible Light Strips and Strip segments. 16.25cm(6.4in), 60.9cm(24in), or 152.4cm(60 in) length with 22 AWG. i had quite a bit of problems with poor contact to the LED strip using these connectors. 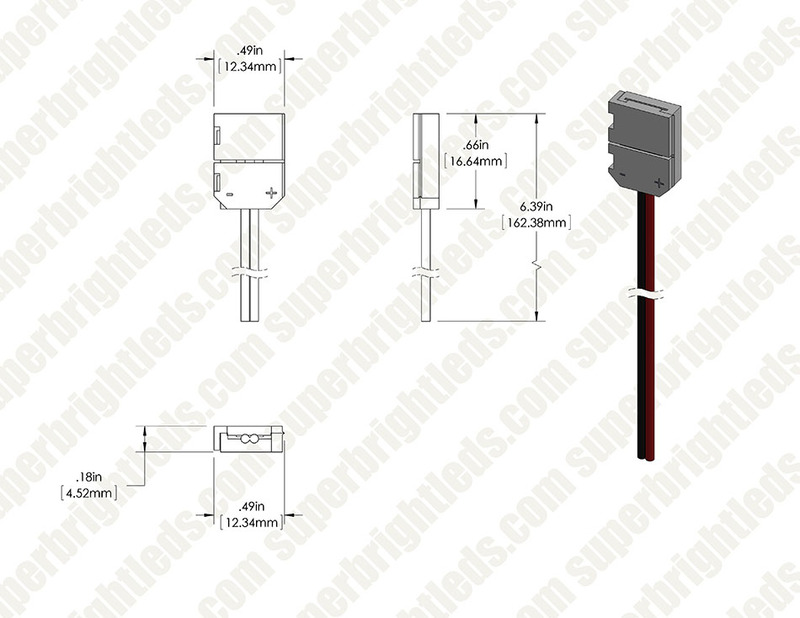 The problem is when removing the backing on the light strip and exposing the adhesive, the adhesive gums up the contacts resulting in either no connection or a significant voltage drop. Most solvents would not remove the adhesive. I ended up soldering directly onto the LED strip. 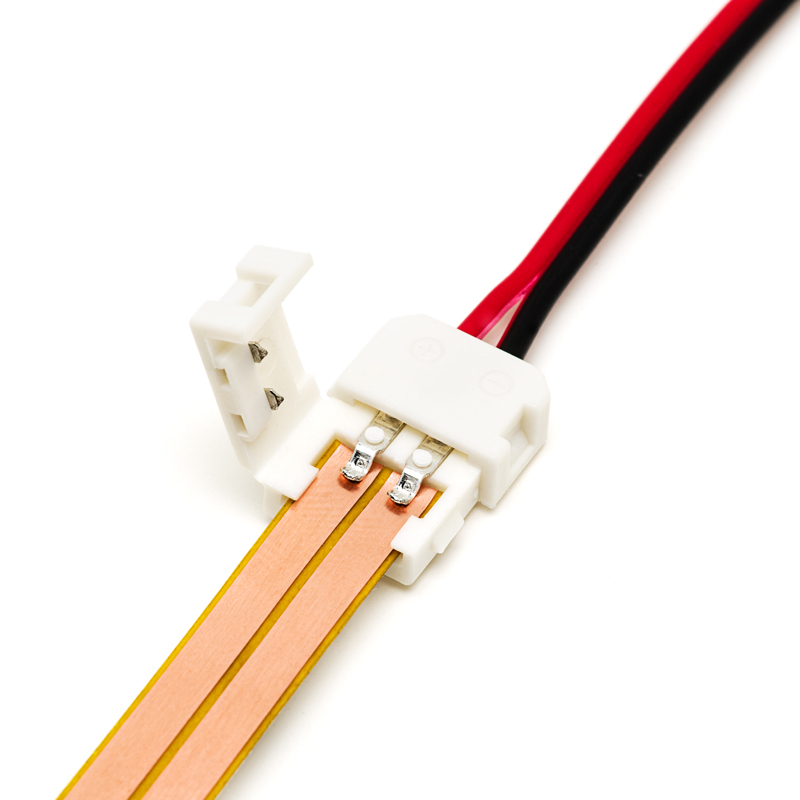 If the connector contacts are positioned on top of the strip, the connector works better than if you try to make contact to the back of the strip. 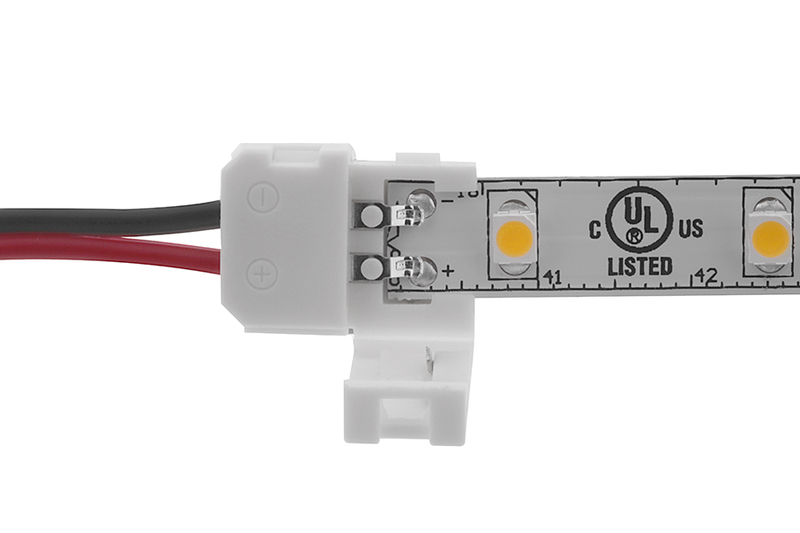 A great LED Connector, of the 20 or so that I purchased, only one is having connectivity problems that are causing some flickering within the line. Easy to use and connect. 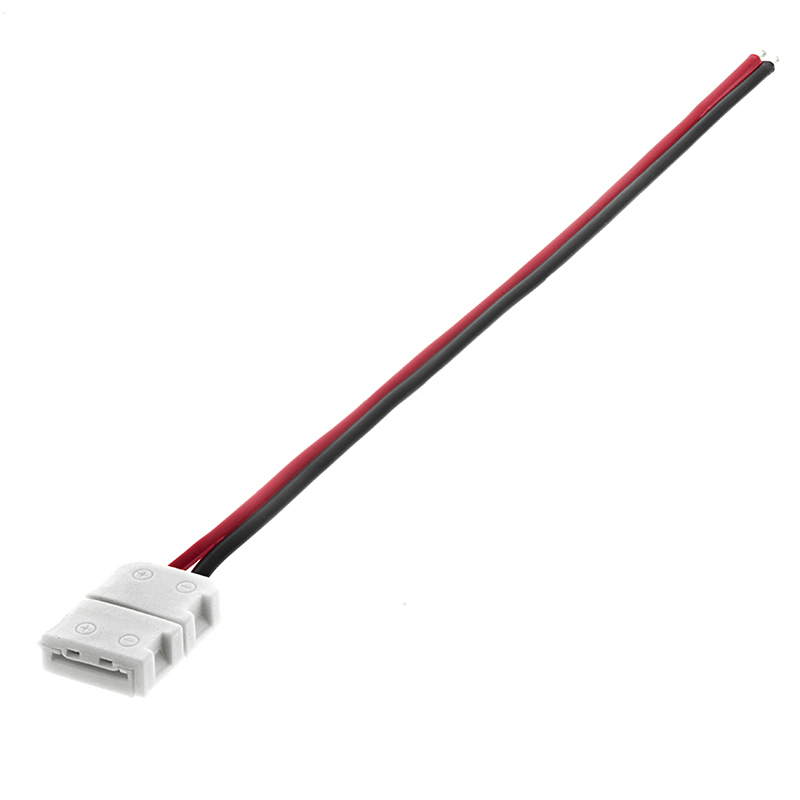 Great price, just realize you'll need to buy two if you plan on connecting two strips together as the product only has ONE connector and then the two wires.